Hi everyone, I hope you are all well and are enjoying your day. I am back from a lovely week away in Spain and feeling refreshed for the new projects we are working on at the Feng Shui Store. 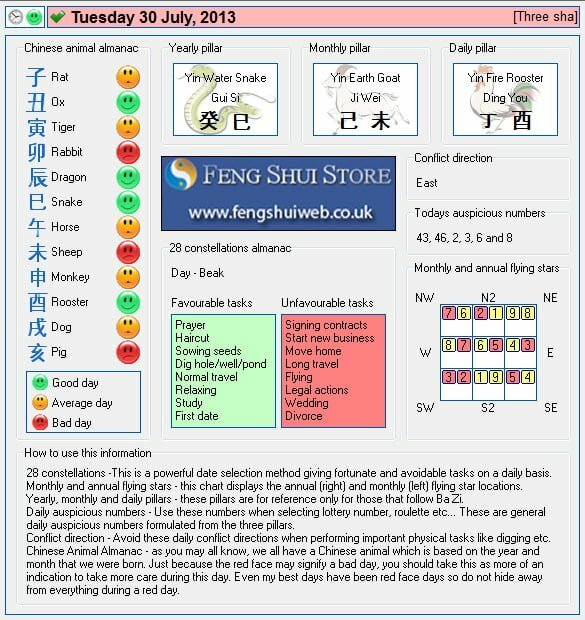 Here is the Free Feng Shui Tong Shu Almanac for Tuesday 30th July 2013.